The first robot was created in 1954, and while robots have been a paradigm shifter for how we view daily tasks in everyday life, we’re about to reach a point of no return. The average smartphone today is more tech-savvy than the spaceship that landed on the moon. While it’s pretty cool to have a hand-held brain at your disposal, it’s becoming clearer that humans are no longer the smartest entities on planet earth. Robots are slowly taking over the world so if these robots are going to inevitably be our overlords, we might as well learn more about them. 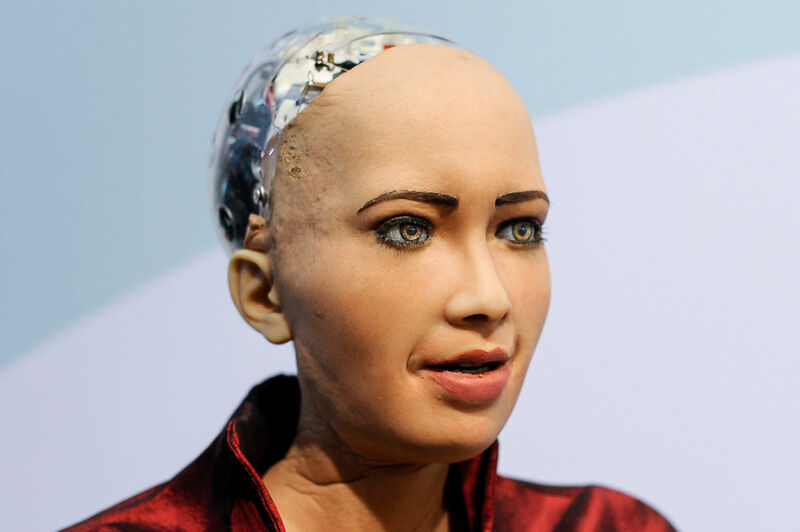 Sophia has been dubbed an Innovation Champion by the United Nations which made her the first non-human to be given any UN title. She’s a social AI robot that can process speech and have a full conversation unlike any other robot to date. In fact, she’s been given citizenship by Saudi Arabia which hilariously led to the discussion about whether shutting her down was actually considered murder. She can display more than 50 facial expressions and has participated in some very high profile interviews. You’ll be happy to know that robots like these cost $100 million to build, which means they probably won’t be taking over the world anytime soon. 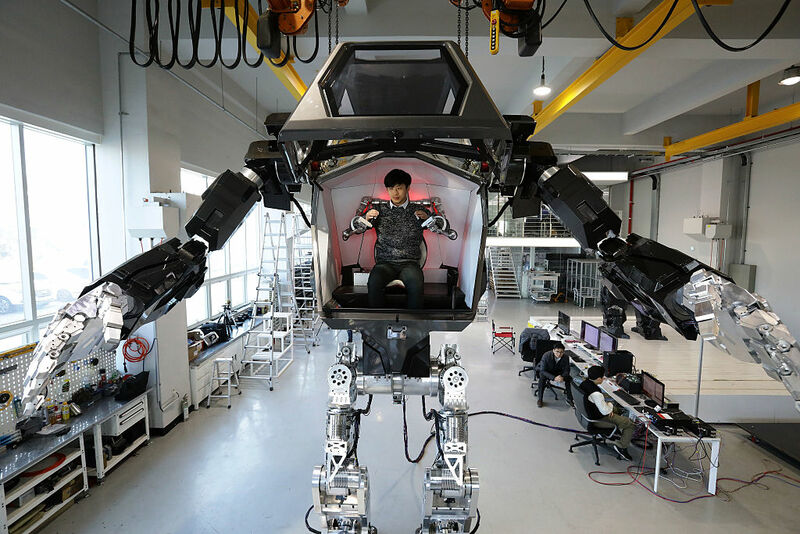 Once you enter the heart of this mech suit designed in South Korea, you can navigate any terrain, wave its arms like a puppet on a string, and crush almost anything in your path. You won’t be seeing this thing on the streets anytime soon (hopefully) because it’s stored in a South Korea test facility. 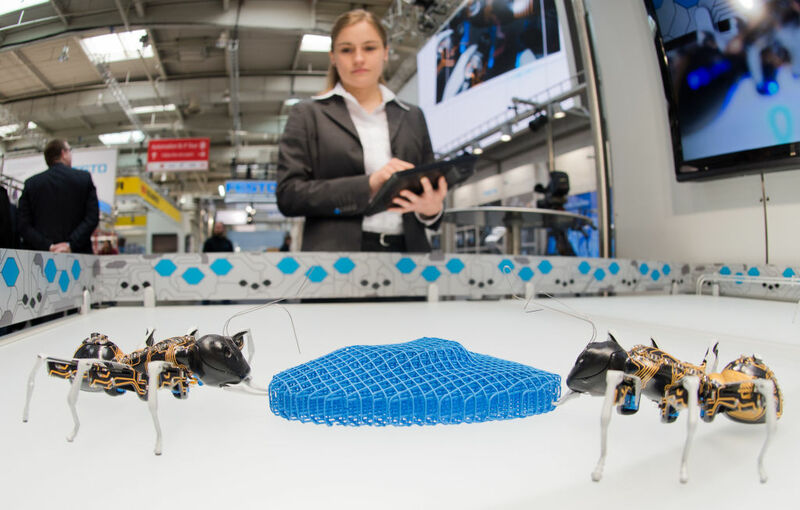 These bionic ants are one of the coolest things you’re going to see all day. They don’t require remote controls and they respond to stimuli and wordlessly communicate with other BionicAnts nearby to complete similar complex tasks that real ants do. It begs the question as to whether or not you would rather be infested by real ants or these ginormous robotic ants that somehow communicate with each other to build nests around your house. 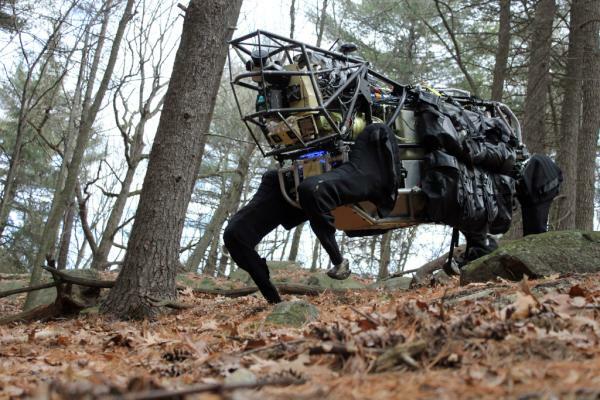 The BigDog is the size of a mule and is a military bot built by Boston Dynamics. It can carry about 100 pounds on its back and cross terrains that its wheeled counterparts couldn’t even begin to think about attempting. The BigDog was also the first legged robot to ever leave a lab and actually take on the real world. It can run at 10 km/h, climbs slopes up to 35 degrees and walks in snow and water. 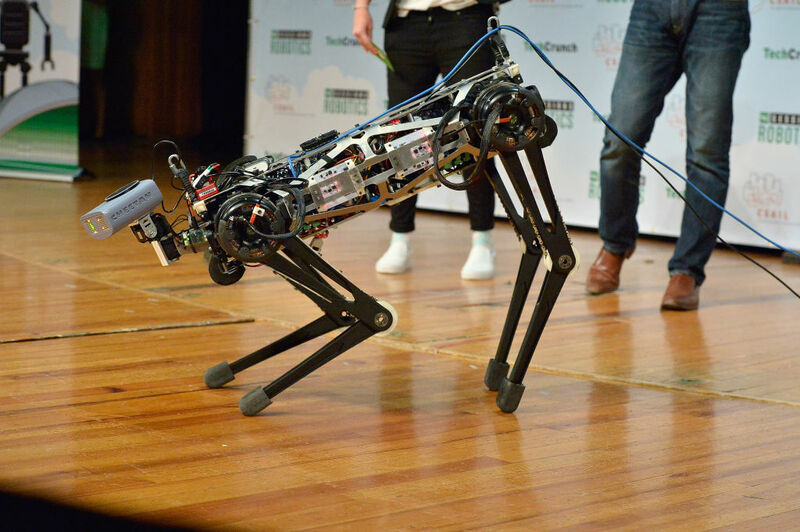 This robotic feline can leap nearly three feet in the air, climb stairs, and gallop over rough terrain. You can also add some cool cheetah print to the Cheetah 3 which makes it kind of like a real pet. Not really, but kind of. This is one of the first robots to be able to autonomously walk upstairs and avoid debris while doing it. For all the dog lovers out there, it’s about the size of a full-grown Labrador which kind of makes it cute? There have been three prototypes of REEM. The first and second types were built in 2006 and were humanoids that could walk around by themselves, recognize, grasp, lift objects and avoid obstacles through localization and mapping. The third installment was created in 2010 and was put on wheels that allowed it to move faster. Its entire upper torso is a touch screen that allows you to interact with it. It also has two motorized arms which give it a high degree of expression. If you’re afraid of sharks, you might want to look away from this robot. 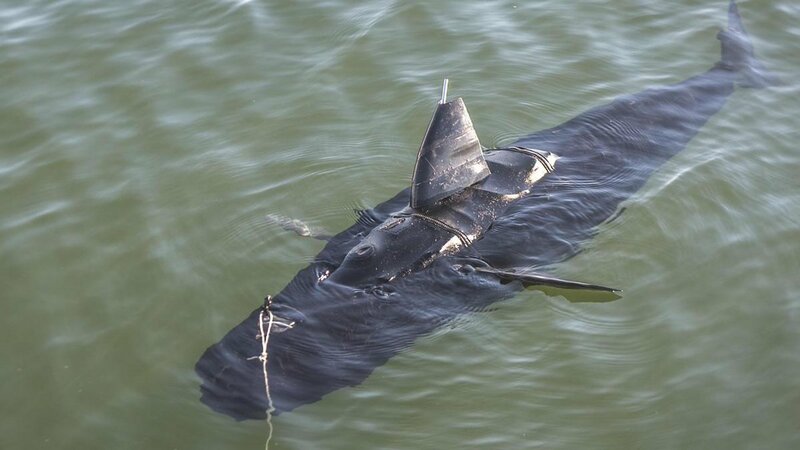 It’s called the GhostSwimmer and it’s designed to look like a shark, but it’s actually a robot that can scout up to 300 feet below the water for the US Navy. It’s a genius method of scouting and spying without having to stuff soldiers into submarines or put them into scuba diving gear which makes them vulnerable to attack. 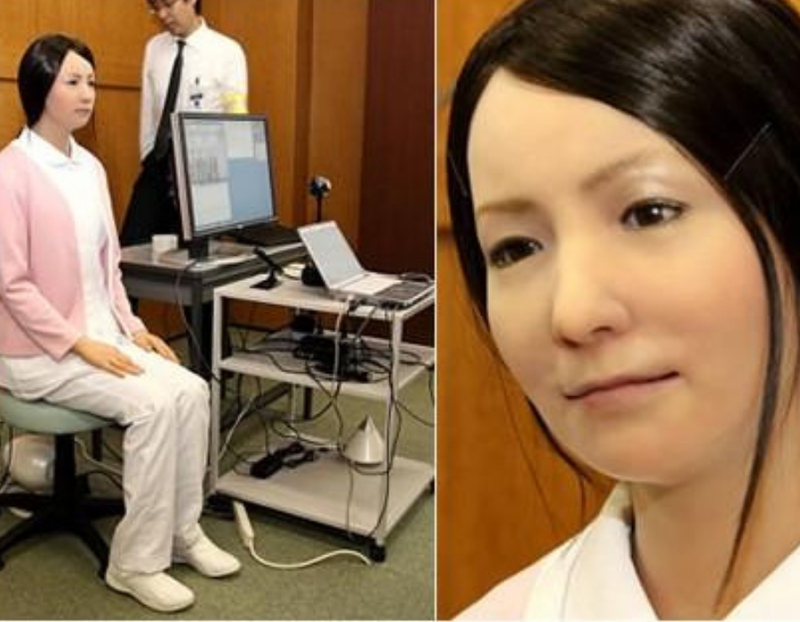 Hiroshi Ishiguro of Japan’s Osaka University wanted to create a lifelike android, so he whipped together the Actroid-F. She can blink, speak, and recognize faces. Don’t even bother annoying her with pokes because she can fend off pokes and slaps, meaning she’s one of the first robots to actually get annoyed. In fact, she’s about three years away from putting people she doesn’t like into headlocks that can’t be loosened up. These robots are getting out of hand. Now that the world of robotics has entered the world of eels, we should be excited (scared). Deep sea cables can’t repair themselves and it’s a VERY dangerous job for a human to do. So, Norwegian engineers created this snakelike robot. 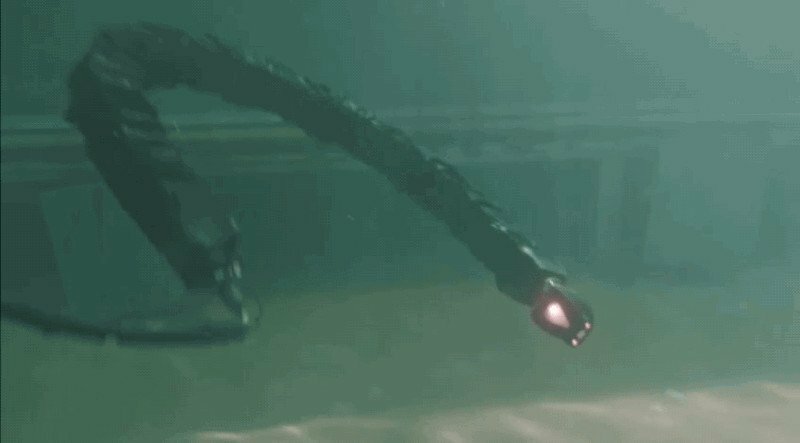 These robotic eels are mostly used for offshore drilling installations. It’s also used in the military for mine countermeasures and undersea surveillance. It’s able to dive 500 meters beneath the surface and can be entirely autonomous or remote controlled. Honda is known for having pretty reliable cars, but most people don’t realize that they also created a humanoid in 2000 that’s kind of creepy, yet kind of astonishing. 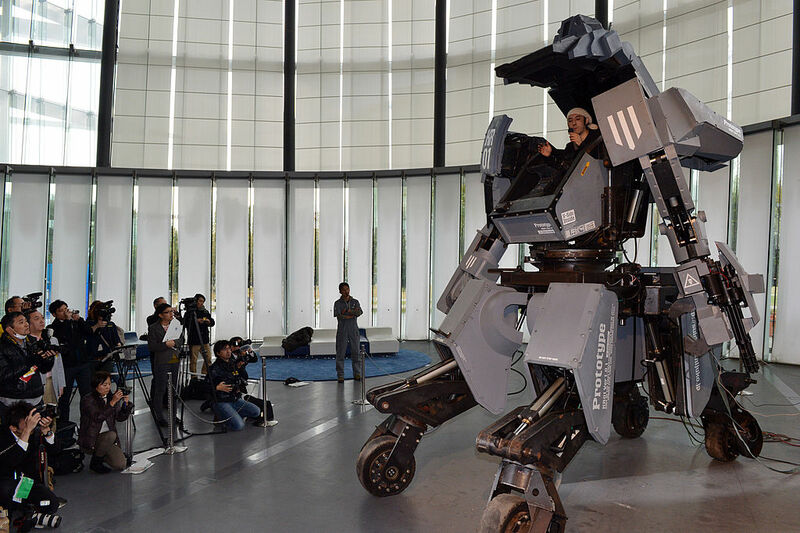 ASIMO (which stands for Advanced Step in Innovative Mobility), is displayed in the Miraikan museum in Tokyo. 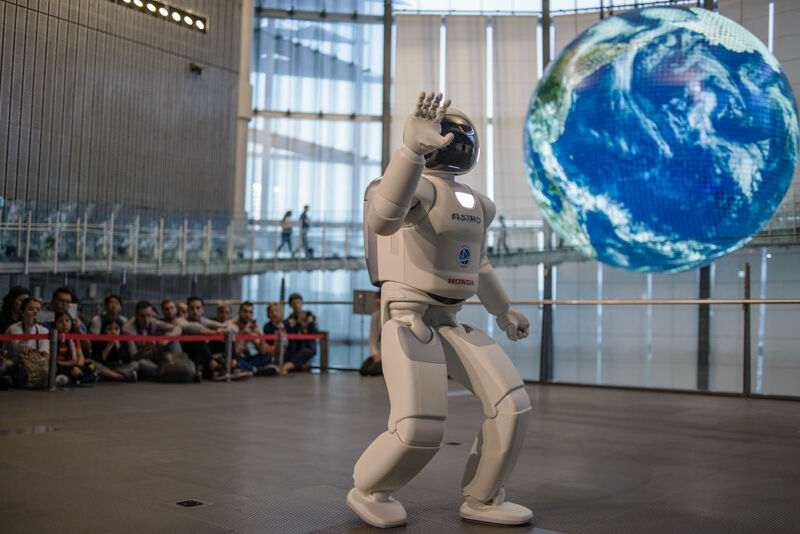 ASIMO has the ability to recognize moving objects, postures, gestures, faces, and sounds which allows it to interact with humans very effectively. It can provide a verbal answer to questions, and can even recognize when a handshake is offered. The LS3 (which stands for the Legged Squad Support System) was a DARPA project for a legged robot that could act as a packhorse for soldiers. Basically, it would be able to operate in any weather condition and hold up to 400 pounds. It was able to understand voice commands, but sadly, it was very loud and super heavy which isn’t ideal on the battlefield. The LS3 has since been retired. 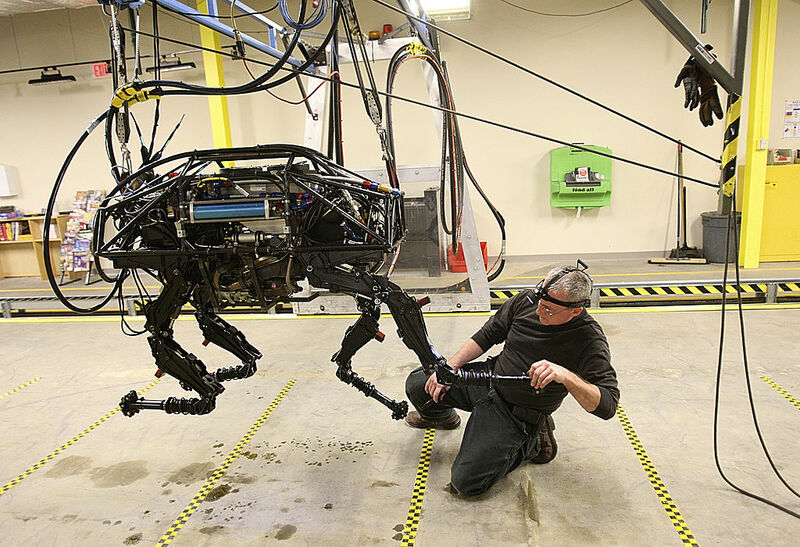 The initial contract was awarded to Boston Dynamics in 2009. Can you do a backflip? No, not on a trampoline because that’s cheating — an actual standing still backflip. Probably not, right? Well, the Atlas can. It’s a bot that runs, jumps, and basically do every movement a human can do, but better. It was originally created to do search and rescue missions for the US military. It has been created to have the ability to get hit by projectiles and still be able to balance. It also has the power to stand on one leg and move forward which is crazy. The Robugtix T8X was inspired by anime and created by engineer Kogoro Kurata. It’s a user-operated mech suit which was designed in 2012 and can be equipped with multiple weapons that have some serious stopping power. It’s crewed by one person and can be armed with a 6,000 round per minute twin cannon and a LOHAS launcher. It’s not capable of walking, but it does have four wheels which allows it to go around at 10 km/h. A German professor discovered the “flic-flac” spider, also known as the cebrennus rechenbergi, while traveling to the Sahara and was fascinated by it. He loved the fact that it could turn itself into a ball and roll around, and used this ability to double its normal speed, which helped it avoid predators or catch up to its prey. So, they created the Bionic WheelBot which can also tuck-and-roll for speed or crawl to navigate through tough terrain. RHex is yet another fascinating Boston Dynamics creation. Mud, rocks and even the densest forest stand no chance at stopping this all-terrain machine that looks more like heavy duty binoculars. It has a waterproof body which allows it to actually swim in liquid, making it a bonafide military scout. It’s a surveillance machine that can get up to speeds exceeding five-body lengths per second and climb slopes up to 45 degrees. Any robot that can ensure less of our military men and women get put into dangerous situations, the better. 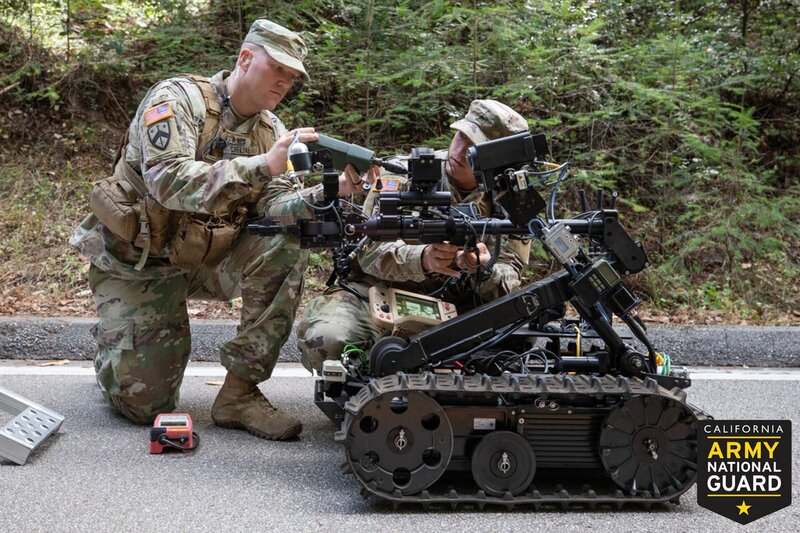 The Talon is a lightweight bot with an arm that can drag up to 700 pounds of dead weight, identify IEDs, and even get involved in combat. 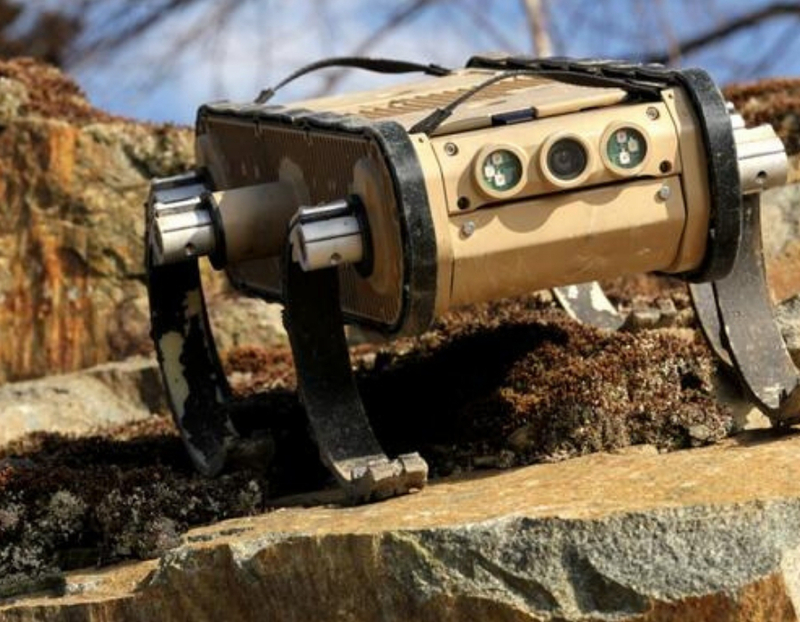 It’s a remote-controlled device that can be deployed into combat to rescue an injured soldier, defuse a bomb without risking any lives, or even fire machine guns that are attached to its arm. 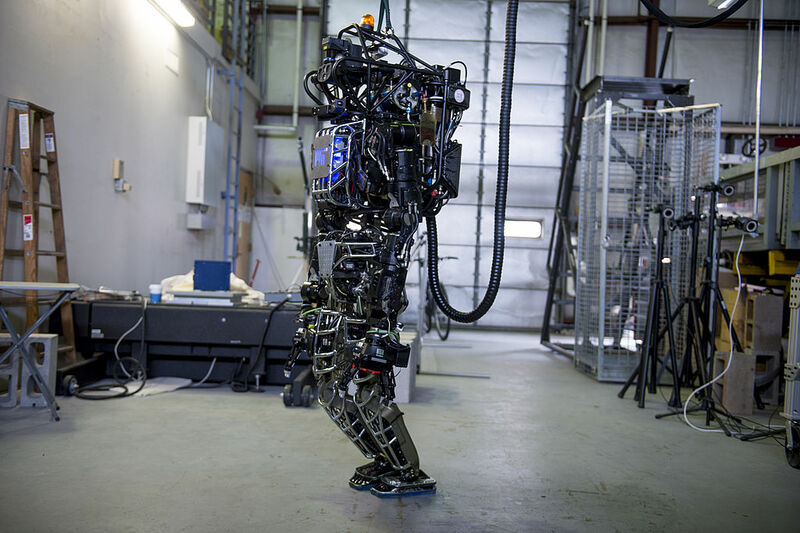 PETMAN (Protection Ensemble Test Mannequin), is a Boston Dynamics design which is a bipedal device constructed for testing chemical protection suits. 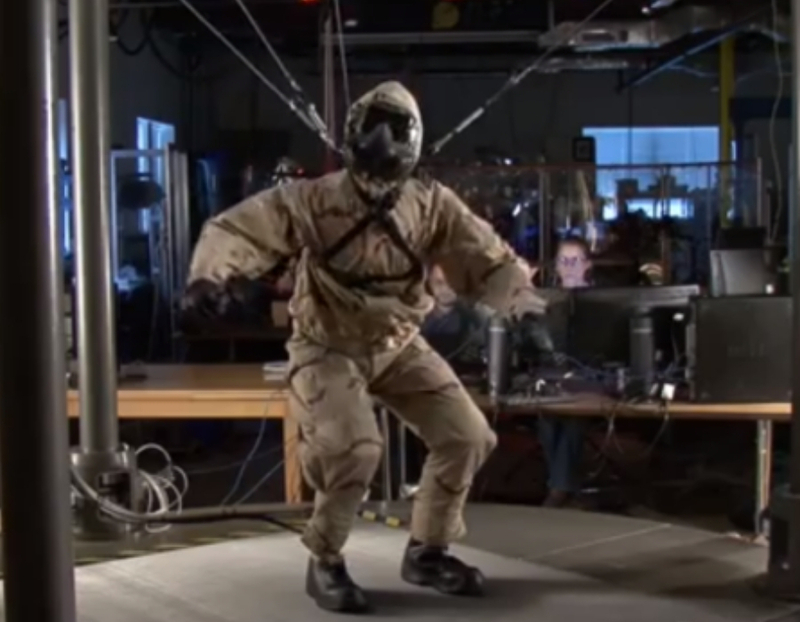 It’s the first anthropomorphic robot that moves dynamically like a real person. It’s able to walk, run, crawl and to top it all off, sweat. Yes, robots are sweating now. The android soldier has one purpose and one purpose only; test dangerous equipment and carry out rescue missions in war zones. This is probably one of the only robots that you’re going to want your kids to own. It’s created to act and mimic a spider. It crawls around on 8 legs and requires a remote control to operate it. 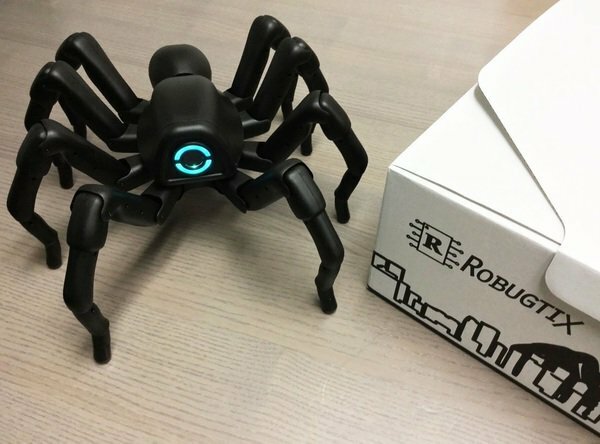 While you’re probably not going to want your kids to be playing with a robot that sweats or one that looks like an eel, a remote control spider that has all the sense of a real spider seems appropriate enough. This entry will probably have the least amount of impact on the world, but come on, a robot that folds your clothing for you is revolutionary. 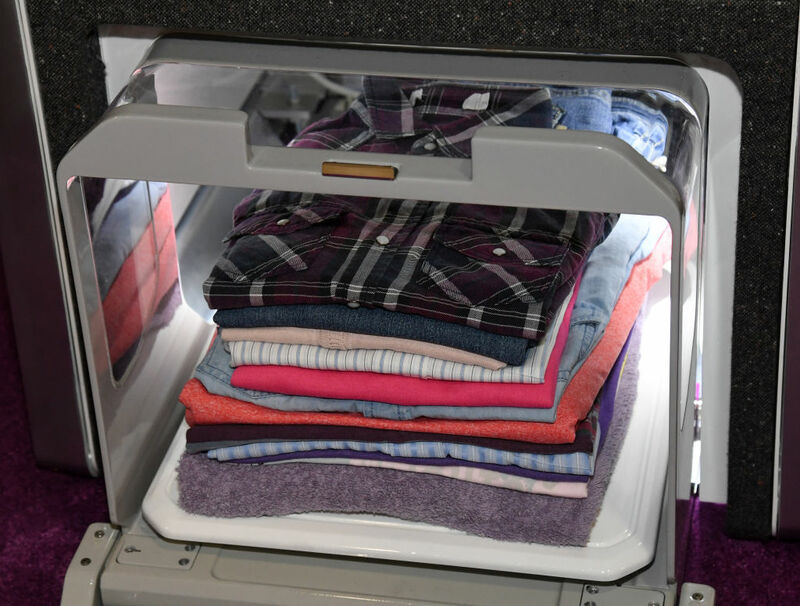 We already enjoy the fruits of a washing machine and a dryer, but now there’s a FoldiMate to fold your clothing for you. The future has officially arrived. It can take all of your shirts and pants and fold them in less than four minutes. It doesn’t fold your socks or underwear, but that’s beside the point. This isn’t your regular vending machine, it’s way better. 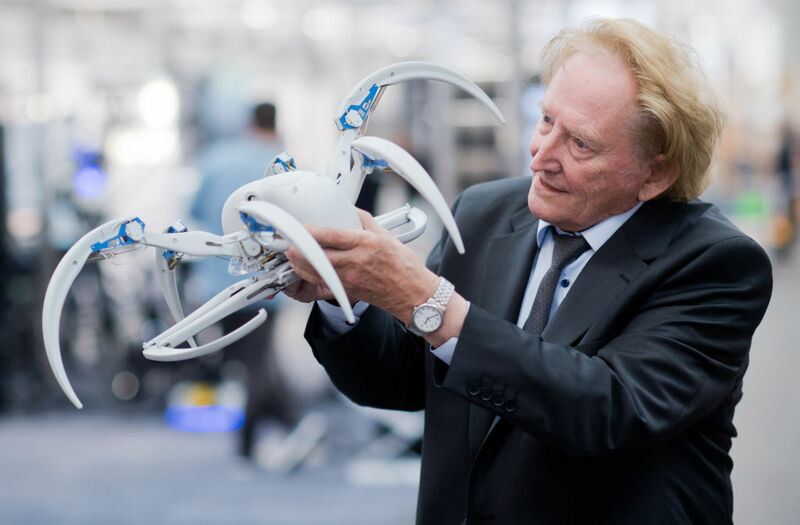 Yes, we know that this isn’t exactly a robot, but it is going to change the world. 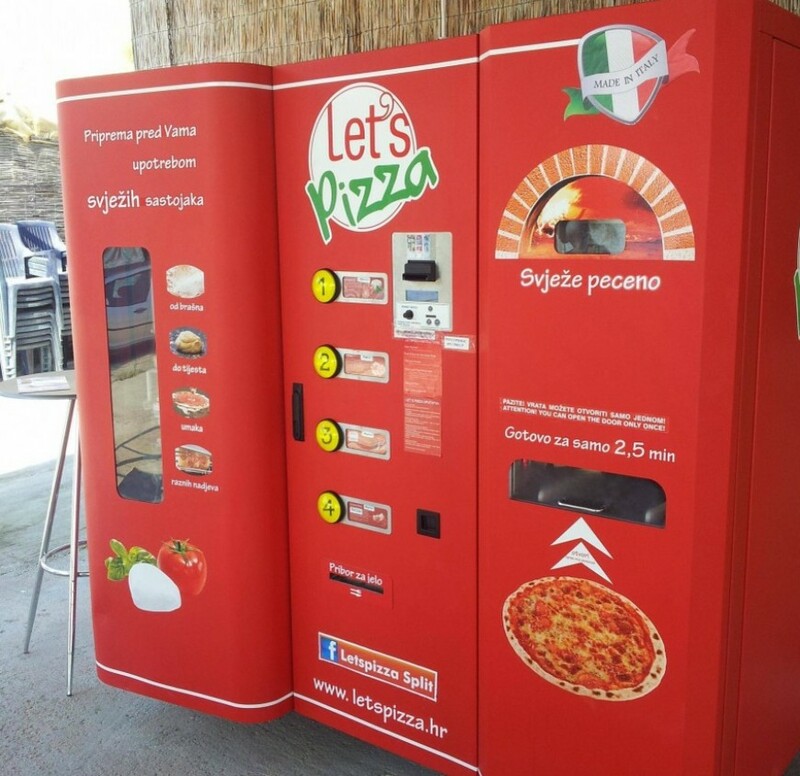 Move over candy and chips, because pizza is starting to take over the vending machine industry. This state-of-the-art automat will bake a fresh personal pizza for your choosing. It only takes two-and-a-half minutes which gives you the perfect amount of time to mentally prepare yourself for the fact that you’re actually eating a pizza from a vending machine.